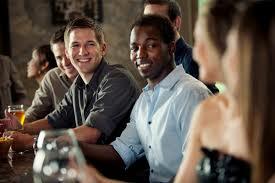 Some singles get bummed out as the holidays approach wondering where to go to have some fun! After over 20 years as a dating coach, I advise my clients to be proactive! Make some sparks this coming holiday season by taking ACTION! Go get connected and look up fun things to do in your local area and on Meetup, Tinder and online in every city nation wide! Plan ahead and get involved in advance locally in your community at charity events and fund raisers. Love can happen at any age, any day, at any time. Today, right now, the person you are looking for could be in line at the grocery store or Costco, an outdoor street festival or farmers market, a singles event, a estate sale, the dry cleaners, out at lunch or a happy hour, the post office or out walking their dog right outside your door. Get out of your house, open your eyes and speak up! Be more open and friendly to people all around you! Just smiling while saying good morning at a coffee shop could inject a person in line with a little bit of joy, instead of crushing their spirit because you coldly brushed them off. Offer a sincere compliment to a stranger walking by and make their day with no expectations. When you are open, other people are more attracted to your “vibe”. Speak up and wish them a great day, and ask what they are doing for the weekend. Sometimes a simple question is all it takes to meet someone. “Every encounter is practice and can make a difference.” That person might just invite you to a party or introduce you to someone great. If you do go to a house party, ask the host if you can help out in the kitchen and greet people as they bring in food or drinks to share! They will love you for the offer and people will be comfortable to chat with you. I’m Italian and the kitchen is often the central hub of a party. I promise you, you will meet more people by being a part of the action and you’ll meet all the good friends of the host. Become one of the photographers and snap photos of people you like with your phone. A perfect way to make a connection, meet new friends or people to date. With your fun photos you can gather business cards or get their cell number on the spot. Then follow up with photos and a friendly hello.and connect on social media. Get a role model or love coach to help you if you’re uncomfortable with any of these suggestions. Stay connected with me on my site and get some FREE tips at: www.ReneePiane.com. Call me for a FREE 20 minute consultation. I have all sorts of fun social events, book signings, personalized coaching and seminars coming up! Want to learn how to find the love of your life? Check out my new book “GET REAL about LOVE- The Secrets to Opening your Heart & Finding True Love. “YOU are in the Drivers Seat and I’m here to help you Reinvent your Love Life. Contact me for a FREE 20 minute consultation to see how I can help you find true love or heal a broken heart!